It finally happened, Soul Food Saturday! The last time ya’ll were here it was Soul Food Sunday, but that SFS took a bit of a beating; I would love to give you a good excuse, but the simple fact was, the dynamics changed and people gave up, I gave up too. But the idea was just eating at me inside; SFS is too much a movement to be left abandoned. 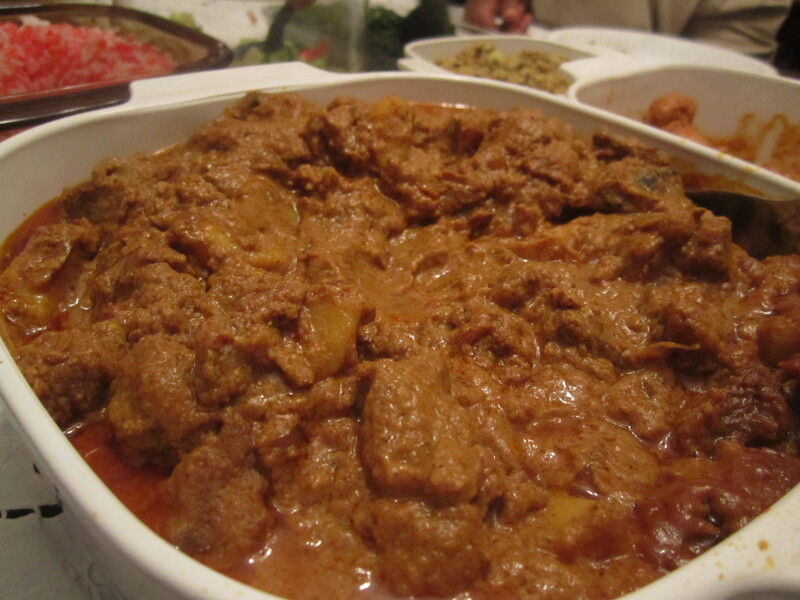 So here we are… Soul Food Saturday! Bigger and better (with less baggage) in 2012! There was much preparing to do, theme to pick out, venue to find… all this seemed too much for little old’ me to do! But with a little bit of fire sparked inside me, and a wonderful support system, how could I fail? 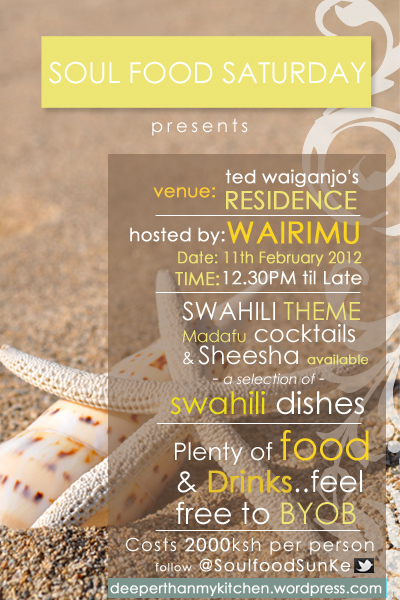 The theme was Swahili… no guessing where that idea came from! It seemed to fit perfectly with the return of SFS. 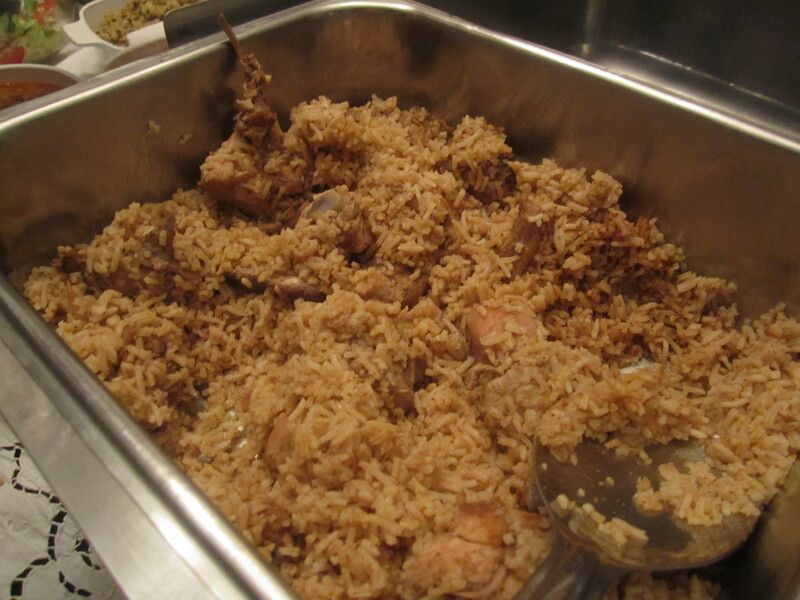 Nothing like a biriyani to bring people together right? I changed it to Saturday for one reason only; we are always too injured on Monday’s to have it on Sunday! Saturday makes sense; nobody has to worry about making it to work on Monday with a hangover… though many of us were still hungover from the Saturday! The venue: Ted was kind enough to let me use his house to host SFS! All the way in Karen, or Kikuyu, or Dagoreti, depending on which way you is coming from! Don’t worry Ted, you are on the border of Karen, so it still counts as Karen! My menu was as always, very ambitious! And of course having never cooked half of it, I was in for a major challenge. 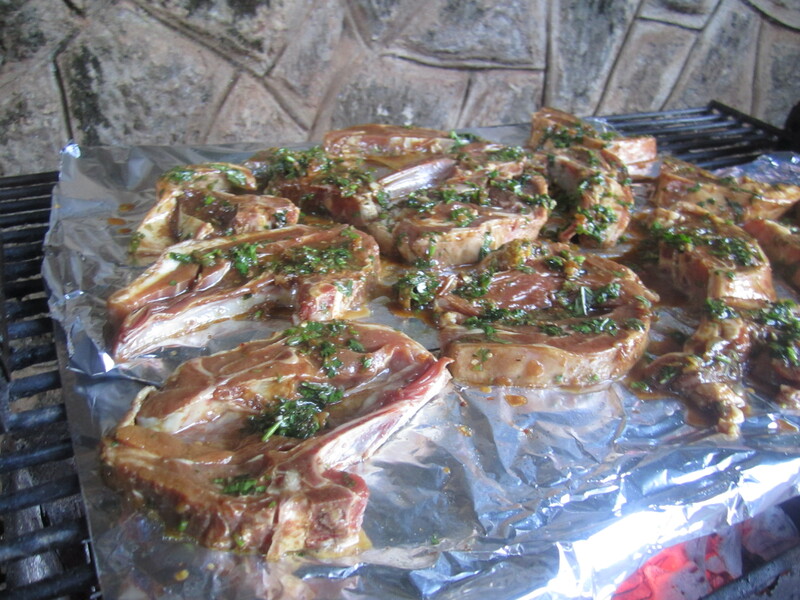 Preparations were to start on Friday, but a marinating party ensued and well, come 2am and only the lamb had been marinated, and we were all nicely marinated! So in future, there will be no marinating party or any party the night before SFS. 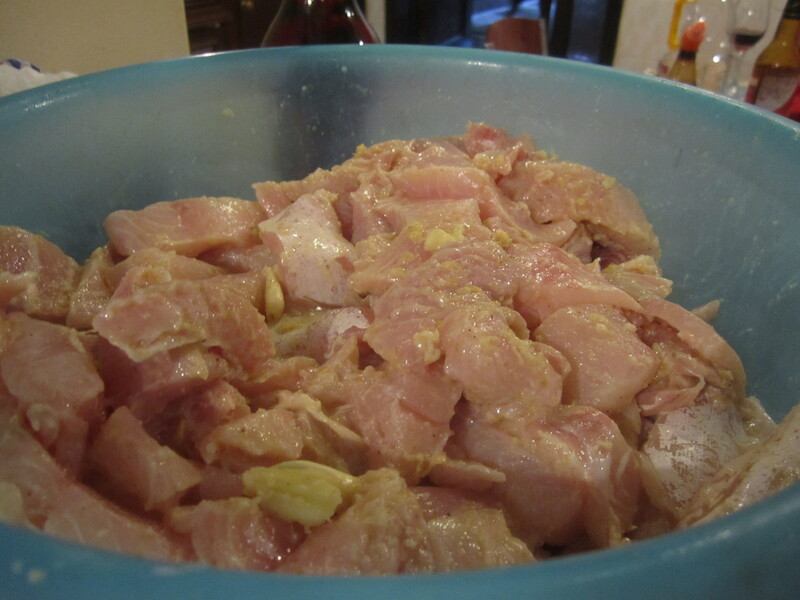 It is because of this self marinating that I didn’t start cooking till about 12pm… Yes, I know! Food was to be served for lunch. A glass of wine in hand first, and of course Alma was there to help, we started cooking our feast! I have to mention, I worked Alma to the bone on Saturday and she was a good sport about it! Lydia and Shanna came through for me too, Lydia, did everything; from the shopping, to marinating the lamb chops, to making chicken pilau, stirring anything that was burning, sorting out the potatoes… Lord! I think she did more than I did:) Shanna, skewered the mishkaki, marinated and cooked two different types of prawns, made some amazing tzatziki, as well as a chilli sauce. 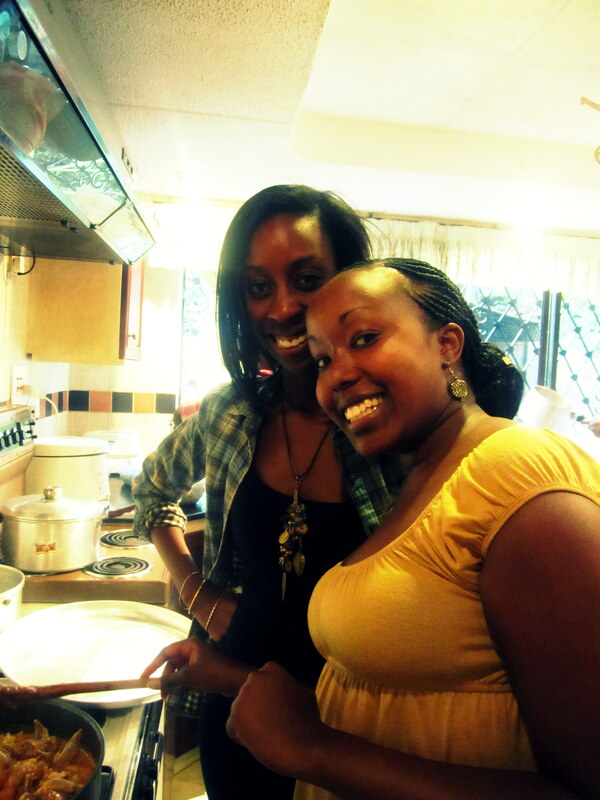 Gathoni and Wathira, my ‘Kuku Paka’ girls! 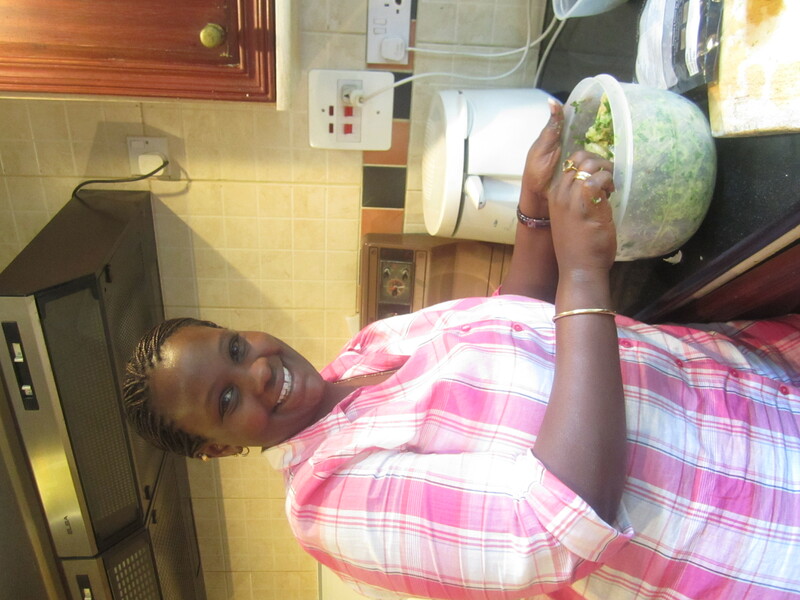 I left these ladies with the task of making the kuku paka, and how super did it turn out? Ladies, you made everything perfect! With all these lovely ladies helping out in the kitchen, we still managed to serve the food at 6.30pm… But at least we got the food out eventually! The boys had soaked themselves in a couple of bottles of tequila by this time, and it was already dark, but we all ate; some more than others, but everyone got a little bit of everything! I absolutely loved colouring the rice! It makes it that more fun to eat, I think. Lydia showed me trick to get perfect pilau: When the rice was mixed in, we covered it in foil and placed hot charcoal on the top, so that it dries out. 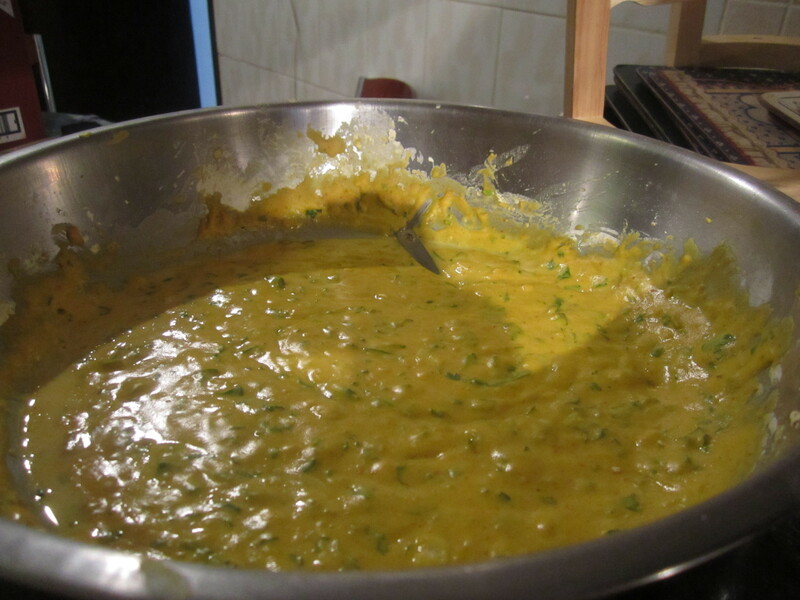 Alma made the batter for the bhajias. 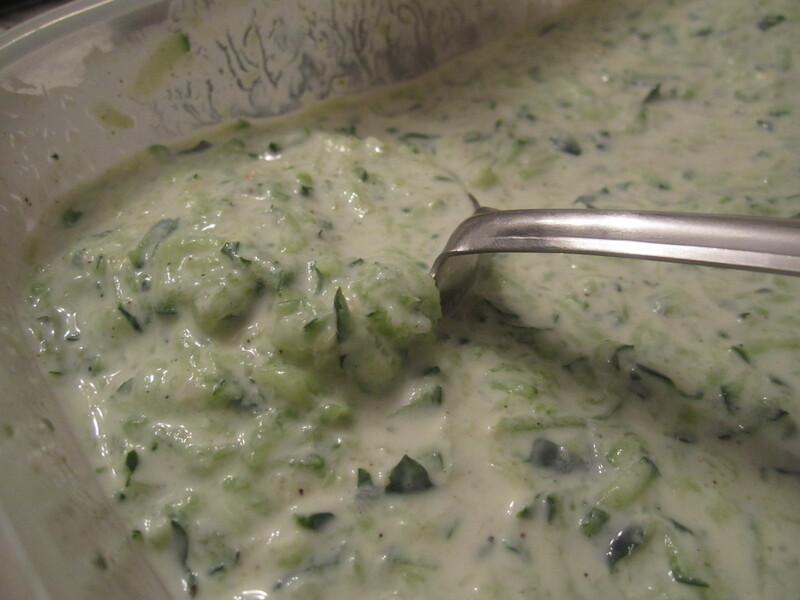 It is actually quite simple and can be made ahead of time, just add a little water when ready to use. They weren’t Diamond Plaza standards, but it was a first try, and they were just as good! Prawns are generally quite expensive in Nairobi, and we got a pack of 25 king prawns for around 1200 KES from the frozen section at the butchers. fresh ones would probably cost you a lot more! These bad boys, were absolutely gorgeous! 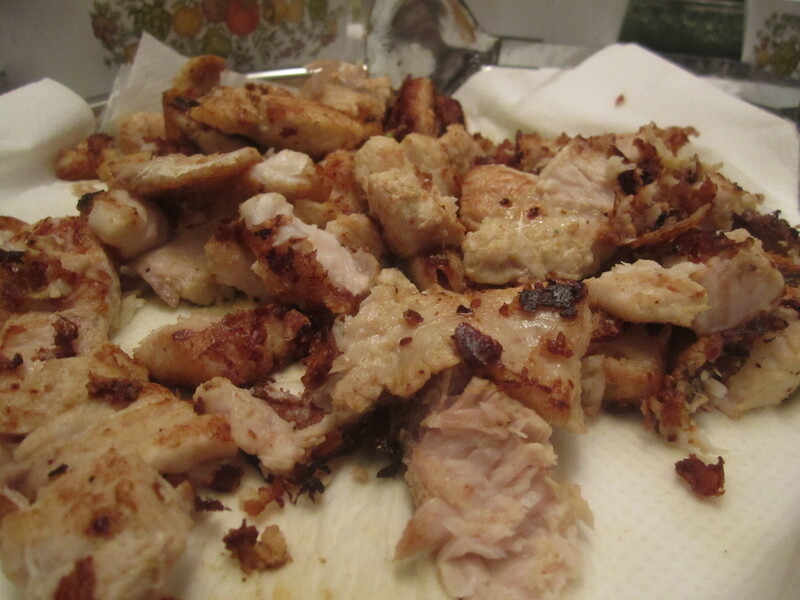 We fried the fish in some sunflower oil. I did contemplate deep-frying it; we all know deep fry is the best fry! 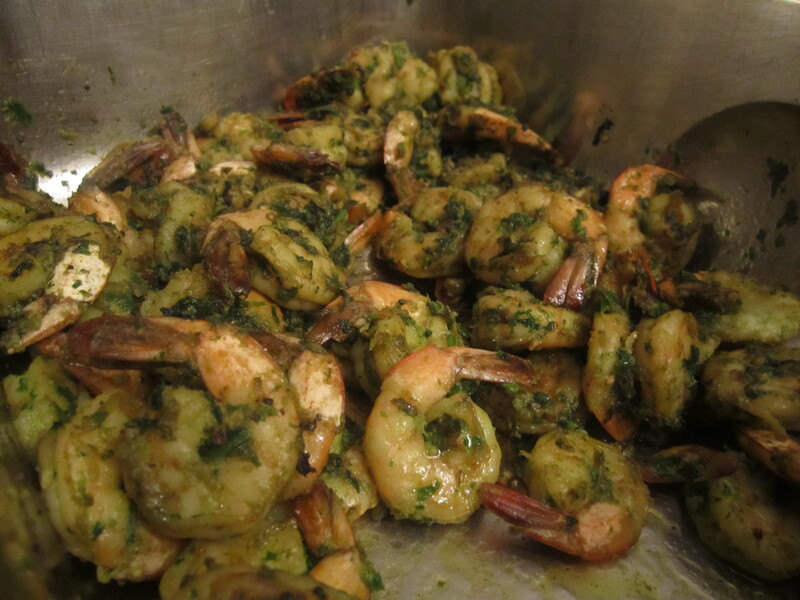 It would also be lovely in the oven, throw on some olive oil, squeeze of lemon, sprig of rosemary and voila! 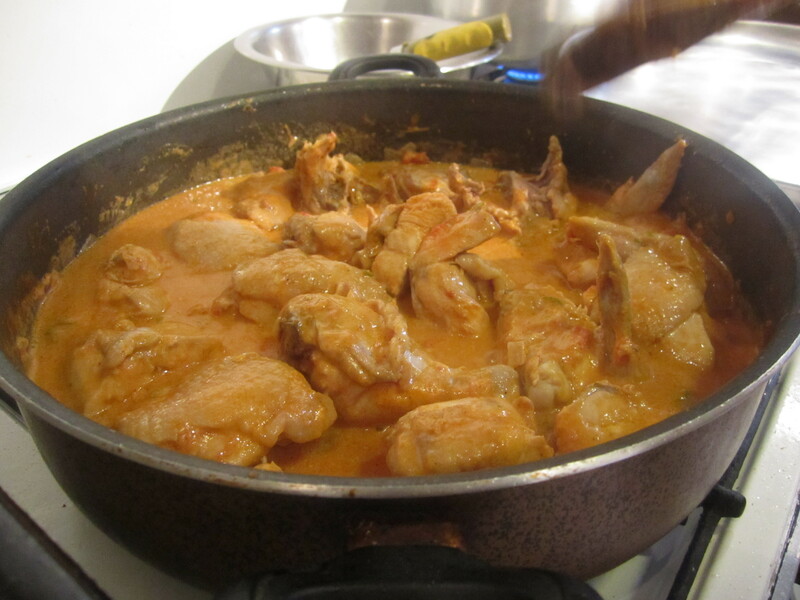 Kuku paka is a well-known Swahili dish, it is chicken cooked in a coconut curry sauce. 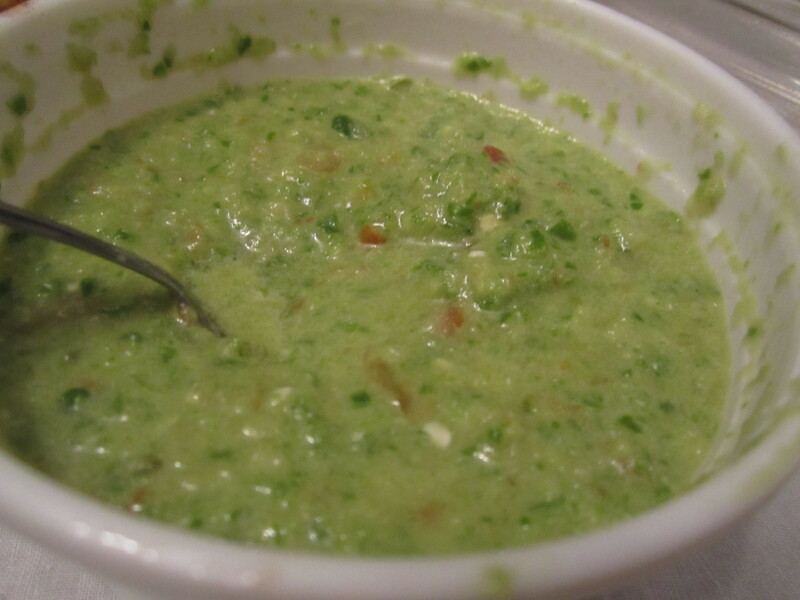 Goes well with some naan if you have some, even with rice it is still good. 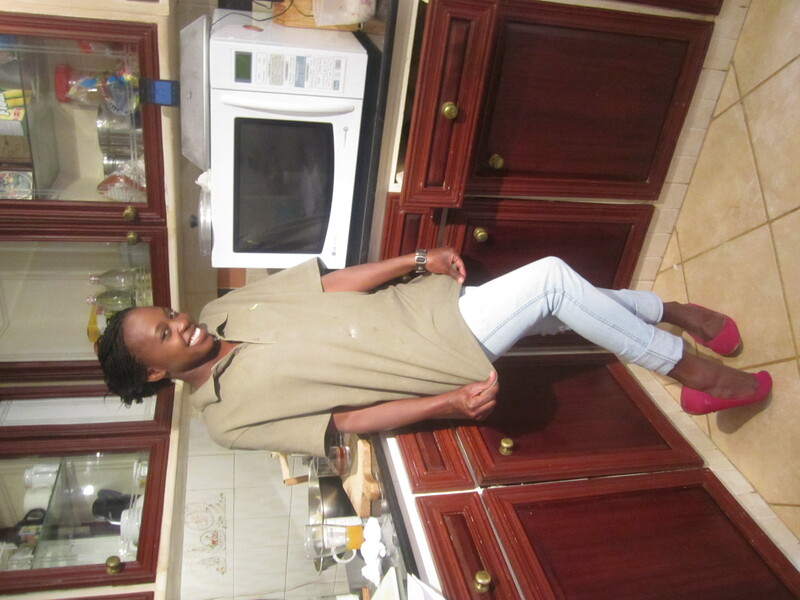 I can’t take credit for it though, Gathoni and Wathira slaved away at it, and did a fantastic job! Let no one lie to you that grilling is easy, Alma and I stood by that grill for ages! The heat is what gets you, and I suppose sipping on wine while grilling doesn’t help one bit… But we managed just fine! 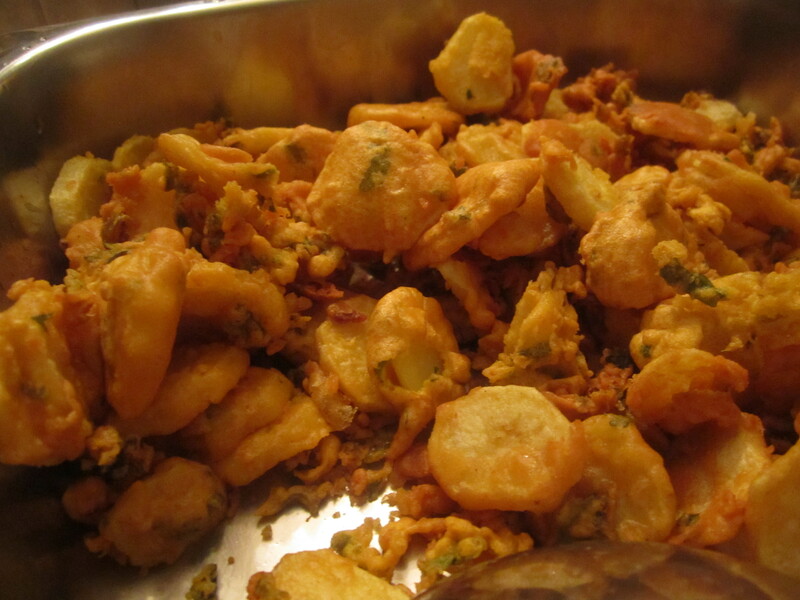 Viazi karai just sounds so Swahili, I had to make it! 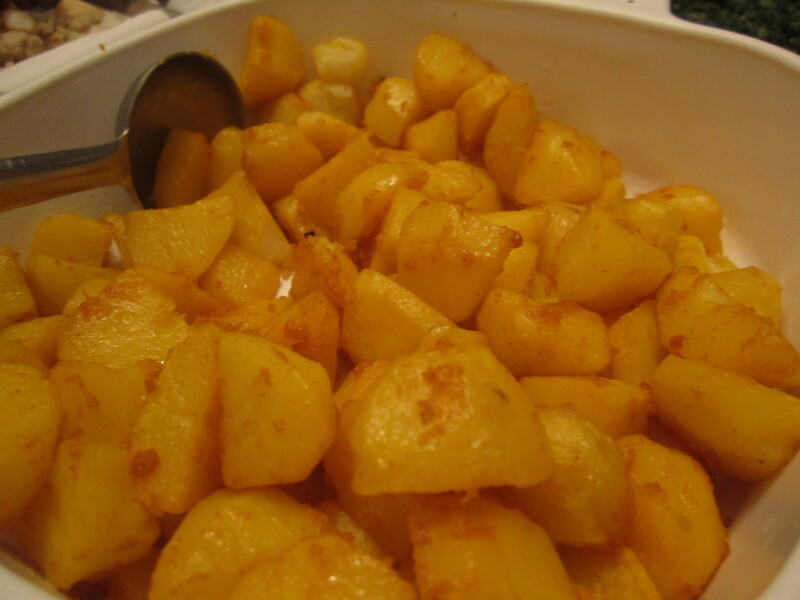 The colours and the texture of the potatoes is so inviting… I could eat these everyday with nothing else! 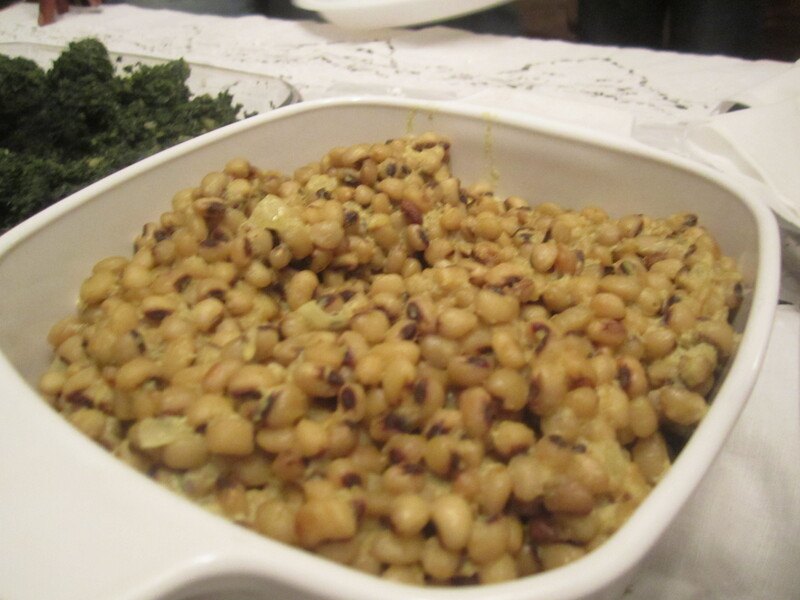 Mbaazi wa nazi… which is pigeon peas in coconut sauce. It has now become one of my favourite things to eat. 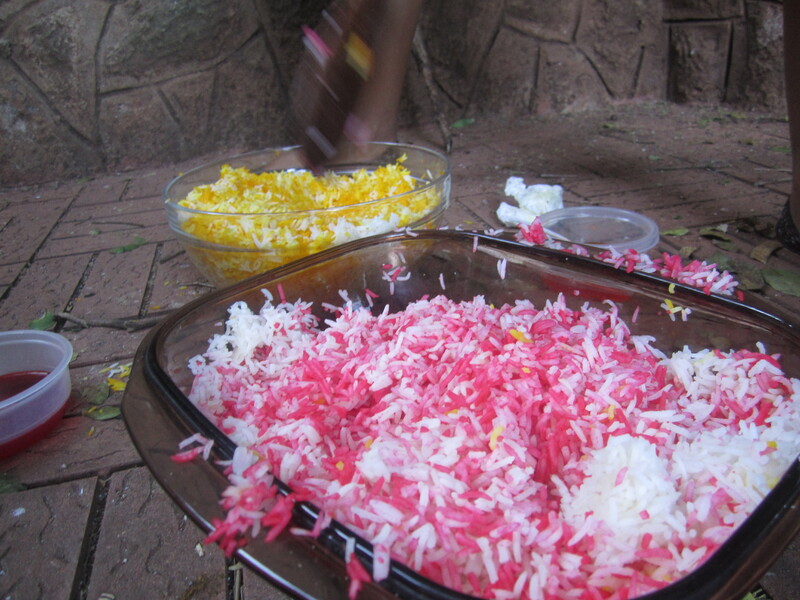 Swahili folk usually serve it with mahamri, and you can have it for breakfast. I would eat it, breakfast, lunch and dinner… true story! 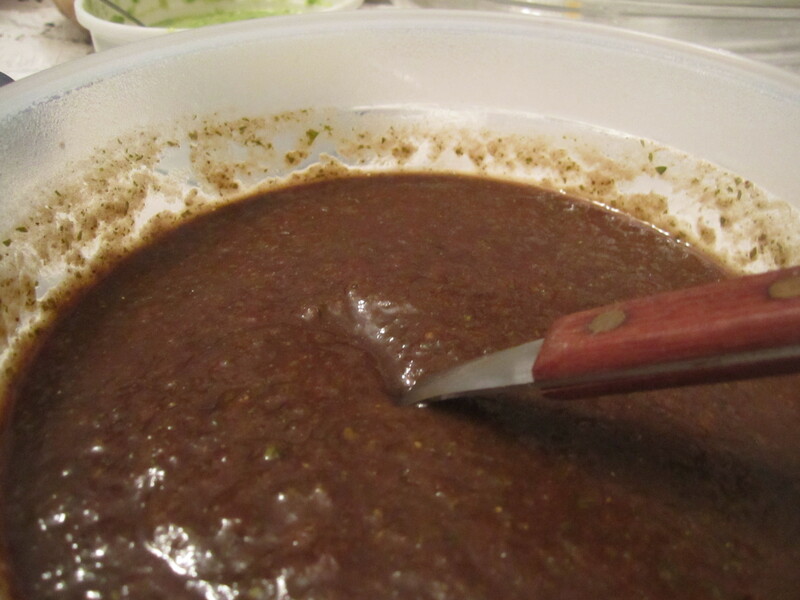 Ukwaju or Tamarind sauce. Yes this is the sauce that they give you with bhajias, or with chicken tikka depending on where you go. 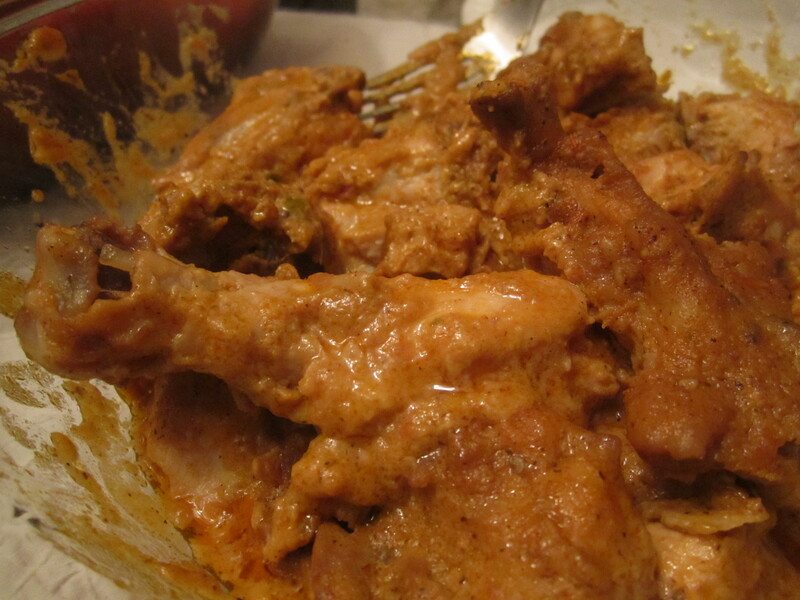 It is a sweet and savoury sauce, I added chillies and garlic to mine, also made it thicker and chutney-esque. Gosh! This post is never-ending… I’ll wrap it up soon, I promise. 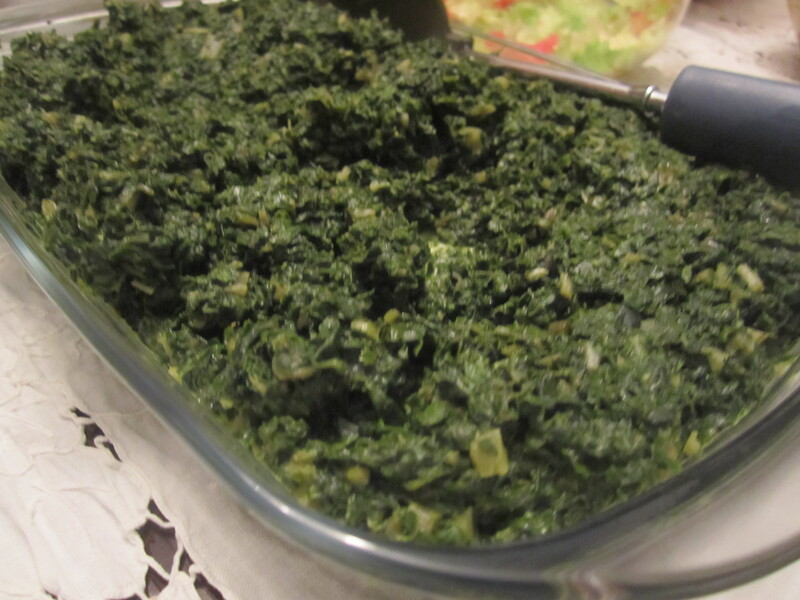 As with every SFS we had creamed spinach. The pickles took me about 3 weeks to make… I’ll post the recipe up soon too, along with the rest of the menu too! 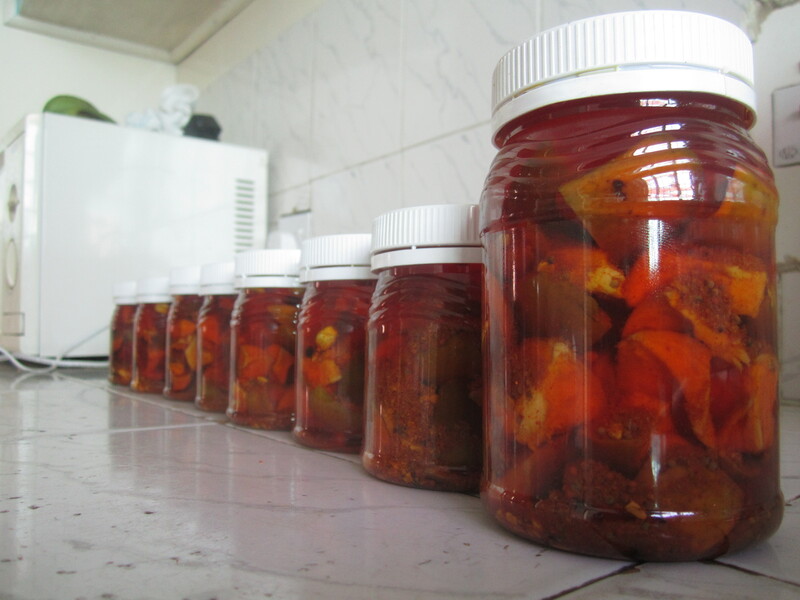 Who knew pickling would be so much fun? I was like a little kid, everyday I would peek at the mangoes in the container, watching the bubbles rise to the top as the oil and spices worked their pickling magic… I’m definitely going to try some more pickle recipes! I’d like to thank everyone who made Soul Food Saturday possible! I appreciate the love and support from all of you…I had so much fun with all of you, if I didn’t say it in my drunken speech… I love you all with all my heart! Ted, thank you for letting us make a mess in your house, for Rhoda who was a superstar! !